The elbow joint is made up of three bones: the humerus (upper arm bone), radius (smaller bone of the forearm), and ulna (larger bone of the forearm). The lower end of the humerus is divided into two bony protrusions known as the medial and lateral epicondyles. 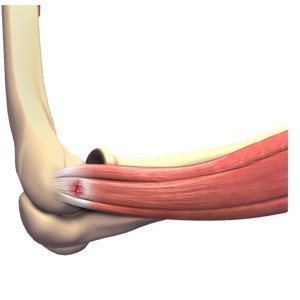 Various structures such as muscles, tendons, and ligaments support the stability of the elbow joint.